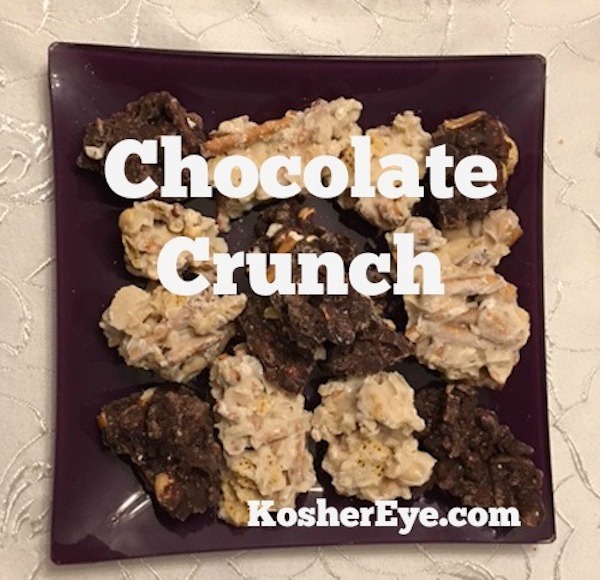 Salty, sweet, crunchy no bake snack that you just can’t stop eating! And, so easy to make. Some call this Chocolate Trash..we call it addictive! Pour melted chocolate over snack mix, and combine with spatula until all coated with chocolate. Drop by Tablespoonfuls onto a parchment or waxed paper covered pan. Refrigerate until set. If you would like to make half dark chocolate and half white chocolate, just divide snack mix in half. Melt and mix in 2 batches. *Microwave melting: Simply put chocolate in a small microwave safe bowl. Melt on high for 20 seconds. Mix with spatula; melt again for 20 seconds. When bottom chips are melted, remove. Mix with spatula until all melts. If not melted, heat in 10 second more increments.